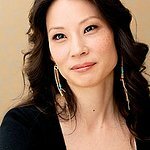 Actress, artist in several forms of media (collage, paintings, and photography), martial artist of Kali-Eskrima-Silat (knife-and-stick fighting) and “Asian Excellence Award” winner for Visibility, Lucy Liu, is considered the most well-known and visible Asian American in the media today. This visibility comes in handy for her roles as ambassador and spokesperson to a number of prominent causes. Lui has traveled to Pakistan and Lesotho, among other countries, as an Ambassador for UNICEF, and has donated profits of her art shows directly to UNICEF and also through Whatever It Takes, a unique artwork campaign launched by 21st Century Leaders. Lui hosted an MTV documentary for the MTV EXIT campaign for Asia, a multimedia initiative aimed at raising awareness for social issues and human rights by educating the public about human trafficking, the practice of humans being tricked, lured, coerced or otherwise removed from their home or country, and then forced to work with no or low payment or on terms which are highly exploitative. 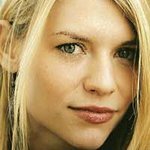 In 2001, she was also the spokesperson for the Lee National Denim Day fundraiser, a single-day fundraiser created by Lee Jeans to support the women’s cancer programs run by the Entertainment Industry Foundation, a 501©(3) non-profit, and the leading charitable organization of the entertainment industry, funding more than 300 charitable organizations annually, both in the Los Angeles area and throughout the United States. Liu took part in the America: A Tribute to Heroes charity telethon for victims of 9/11. Google trends for "Lucy Liu"